Product round-up Sharply designed, technically advanced TVs seem 10 a penny these. Prices remain double-take keen as well. So where does an upgrader begin? Smart connectivity has been standard for a while now, but the usability of internet-delivered services is now immeasurably better than early forays. The seamless simplicity of LG’s webOS platform and the roll-back catch-up of Freetime are light years ahead of first generation TV portals, which mainly offered an avalanche of asinine apps. LG ticks nearly every box with this trendy mid-ranger. 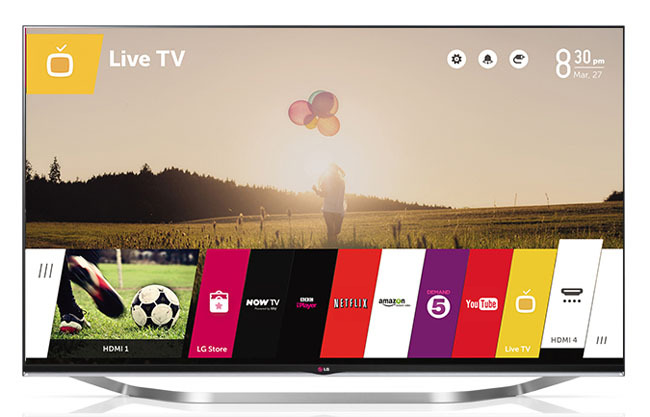 With Smart+ webOS it offers arguably the best realised connected TV platform out there; it’s deceptively simple to use and supported with a solid selection of catch-up TV and streaming services. Cleverly, with webOS you can watch iPlayer or YouTube, pause and flick over to live TV, and then return and carry on with the stream. The screen also ships with the latest version of LG’s Bluetooth pointer. This gyroscopic remote provides a naturalistic way of navigating the UI. There’s a trio of HDMIs and the same number of USBs. Image quality is generally good. Admittedly, in full black-out conditions, the TV doesn’t offer pitch blacks, however in ambient light it looks pretty convincing (a long familiar LED trait) and colours are intense. Motion handling is fine, provided you stick with the Clear Plus setting. With predominantly dark scenes, or letterboxed movie bars, a string of horizontal bulbs could be clearly seen glowing across the top of the screen. During general viewing these aren’t overly intrusive though. 3D is of the passive variety, so feel free to dispense the goggles to infants with largesse. If you’re looking for a sophisticated connected experience, you’ll find it here. 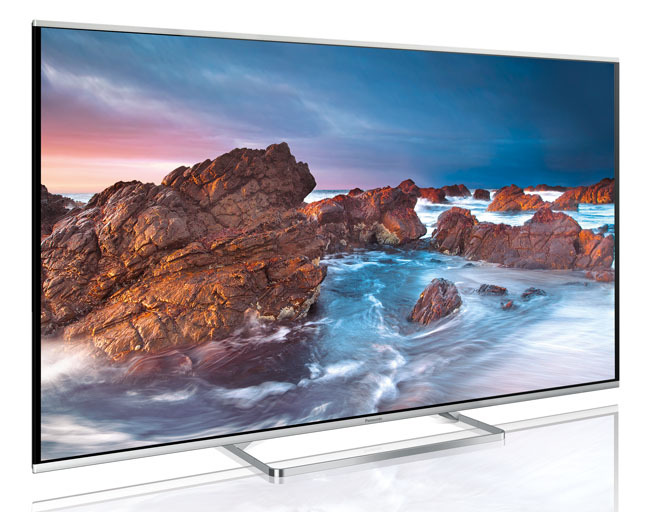 If you’re increasingly dependant on catch-up TV services, then the Freetime roll-back programme guide found on this and many other 2014 Panasonic screens is a must-have - or at least a must-audition. Reworked from the original Freesat STB roll-back user interface, and now working with both Freesat and Freeview TV sources, it’s an elegant way to find shows you might have missed. Simply scroll back over seven days to find the programmes on supporting channels. This in turn fires up the relevant channel player, be it BBC iPlayer, ITV Player, Demand5 or 4OD. The set also offers My Stream, a curated content guide based on personal recommendations. While superior smart functionality sets this TV apart, it’s also minimalist in a pretty, plasticky way, and offers a crisp, compelling 1080p image. 3D is passive. Audio will need some manner of augmentation and we're running a feature on soundbars shortly, so watch this space.